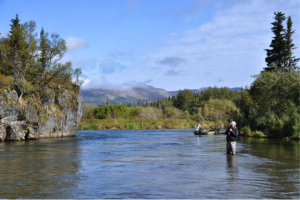 No See Um Lodge has one of only five permits allowing boat use on the Lower American Creek. The American spans roughly 40 miles from Hammersly Lake, draining into Coville Lake. The upper portions can be accessed via float plane but the bottom 6 miles are limited to jet boat access only. The Park service wisely limited operators in this section, implementing restrictions on numbers of anglers and special rules protecting the incredible resource. The jet boat ride itself is worth the price of admission but world class rainbow and char fishing put this river into a special class. 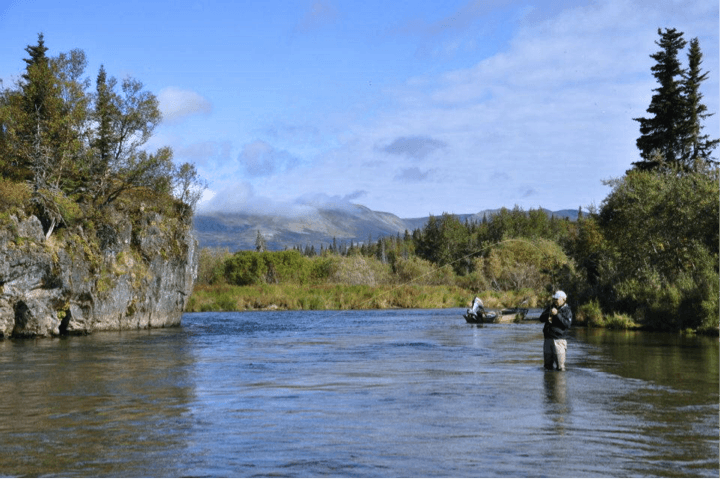 Hungry spring trout sipping dry flies, aggressive char and fat fall rainbows make this a favorite destination throughout the season. Countless brown bears congregate the length of the river, moose, wolves and eagles are common.